The look of your feed is super important to make a good first impression (that’s how you get your customers hooked). That’s also how you create brand awareness and recognition. If you love to visualize and design your feed before you post on Instagram, use Preview app. It will help you rearrange the order of your posts and edit your photos (and plan your hashtags, see your analytics, etc…). 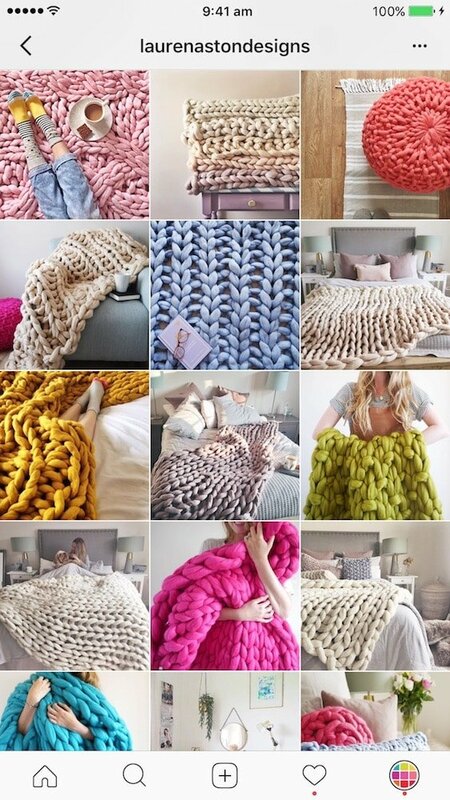 A monotheme is when you only post photos of one thing: your products. Usually, the photos are a close-ups of products. 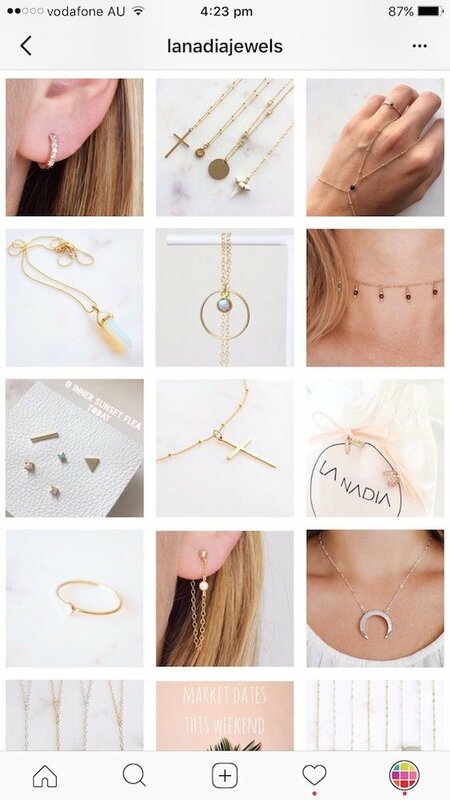 It the the most popular Instagram feed for shops. The key is to be very creative with the photos. You can also post photos other than your products only. This will make your feed more like a “lifestyle” feed. The trick is to create a “lifestyle” around your products. Share photos that are related to your products. An example is selling bikinis and sharing photos of the beach, palm trees and sunsets. 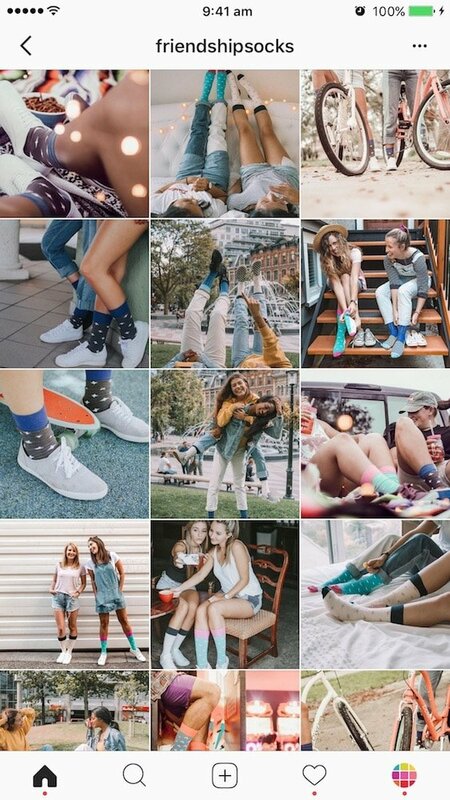 @friendshipsocks: Just like socks come in pair, so do friends. Friendship Socks are all about friendship and fun. 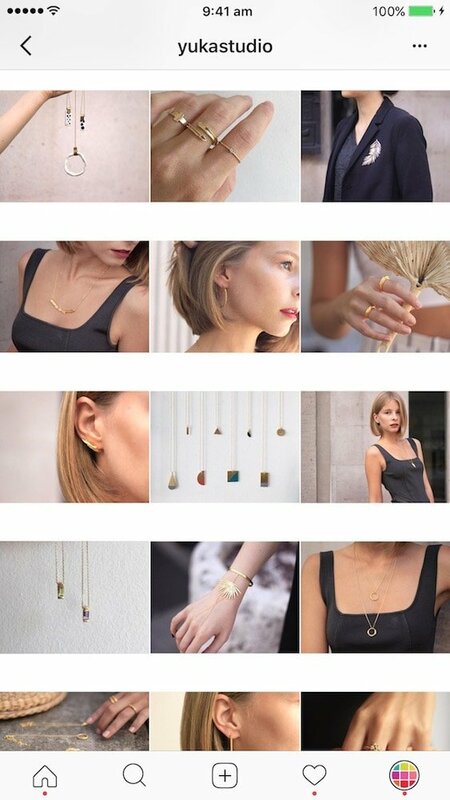 @katiedeanjewelry: Katie shows photos of her jewelry and also lifestyle photos like flowers and building. 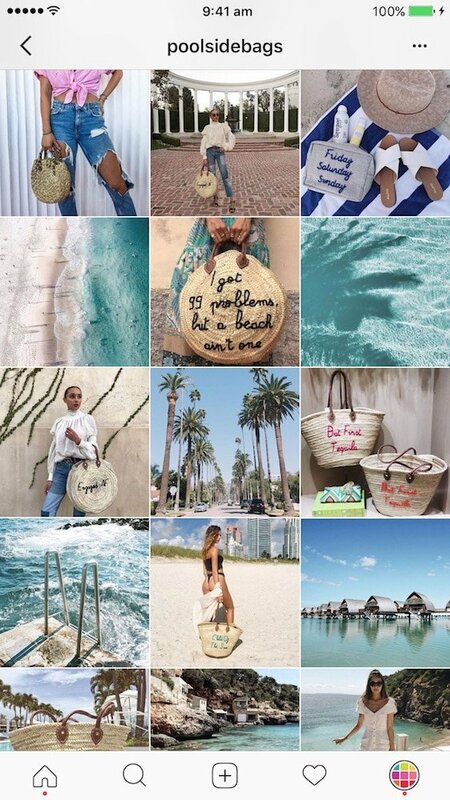 @poolsidebags: Pool Side Bags is all about spreading those vacation vibes – whether you’re by the pool or at the beach. They show you how you can pair their beautiful bags with your outfits. They also share dreamy photos of the beach. @puravidabracelets: Pura Vida Bracelet is not just a bracelet. It represents adventure and living life. The photos show that lifestyle. 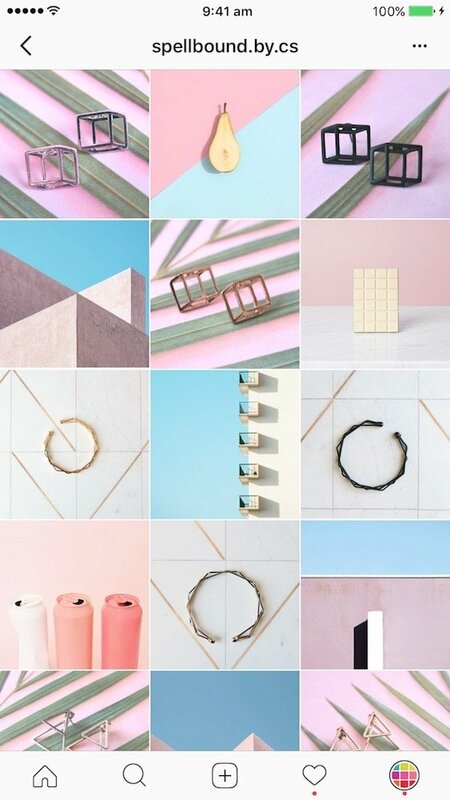 Many Instagram shops stick to a color palette for their feed. 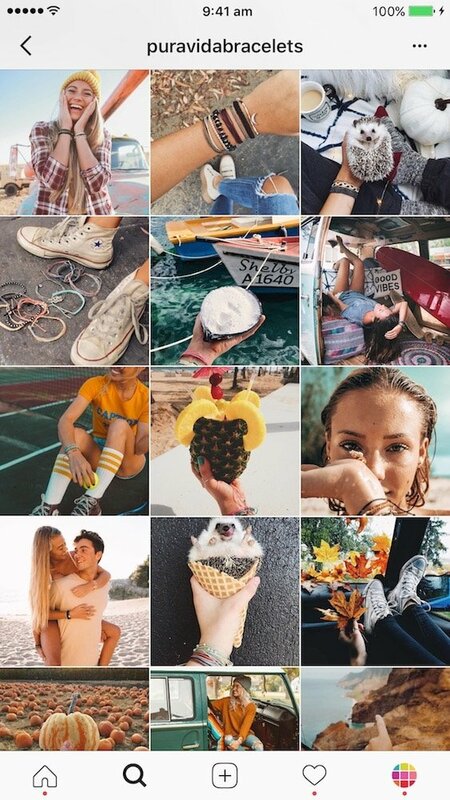 Colors are part of their brand and create the whole vibes of their feed. 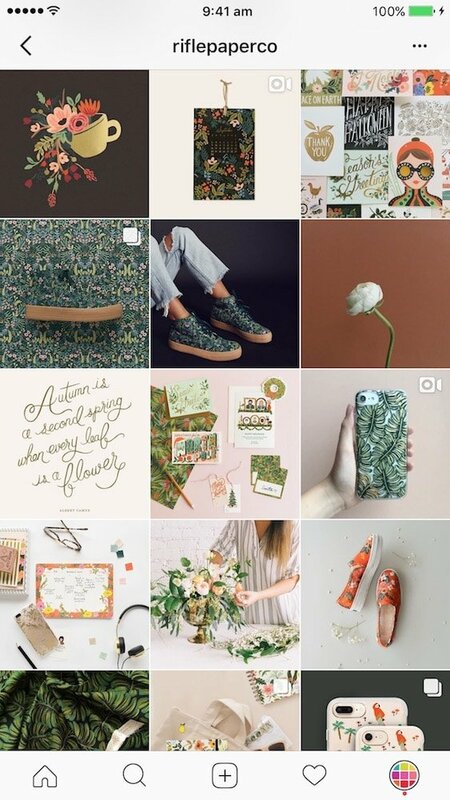 If you want to color coordinate your feed, choose 2 – 5 colors that go well together and stick to them. That’s your color palette. You can also choose your color palette based on the colors of your products. 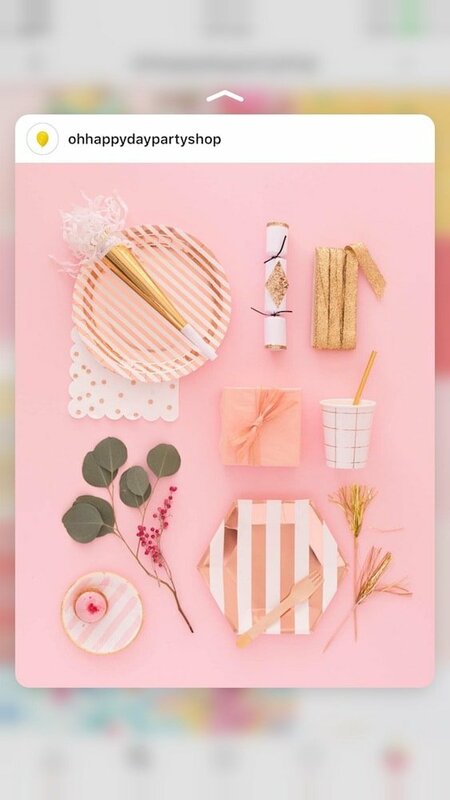 @wildehousepaper: Pink and white are the main colors. Then there are pops of green (plants) and black (stationery). @itsgldn: White, grey, brown (skin) are the main colors. There are pops of green (plants) and black (clothes). 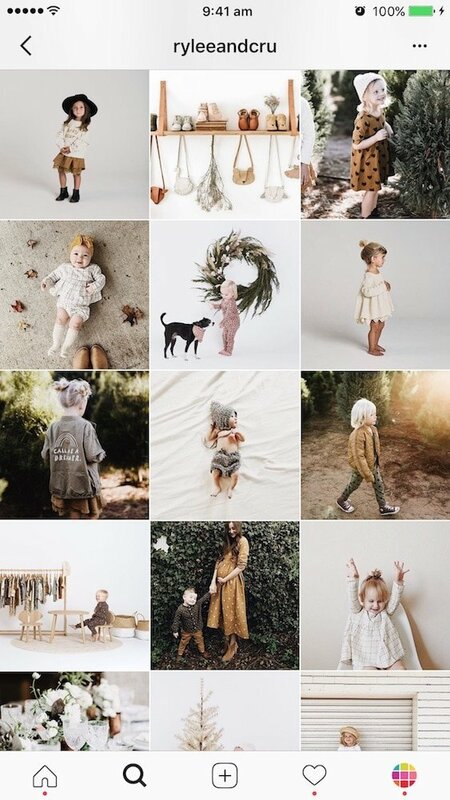 @weaveandwillow: Blue, green, brown, black and white. If you take photos of a lot of different colorful things, it’s okay. You can still make your feed look professional by paying attention to the background of your photos. I always say it: the background of your photo is crucial. If you can, stick to 1 – 5 different backgrounds for your photos. You want people to see your products. You don’t want your background to distract people. 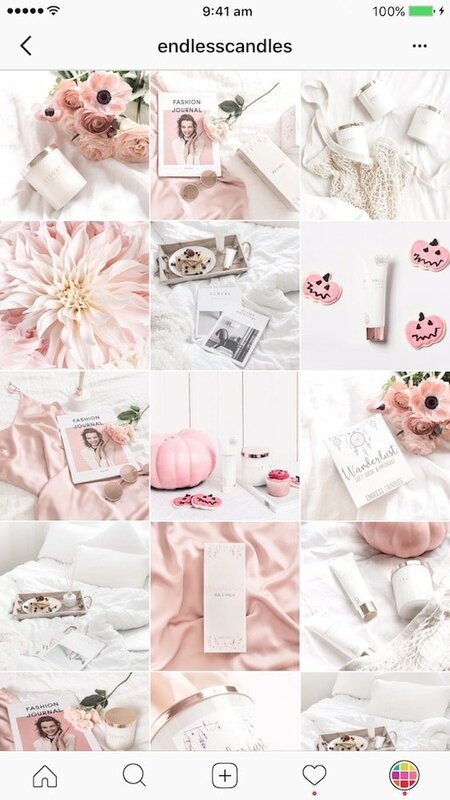 In case you don’t know what a flatlay is: A flatlay is a type of photo where you lay the items flat on a surface (floor, bed, table) and style them in a creative way. 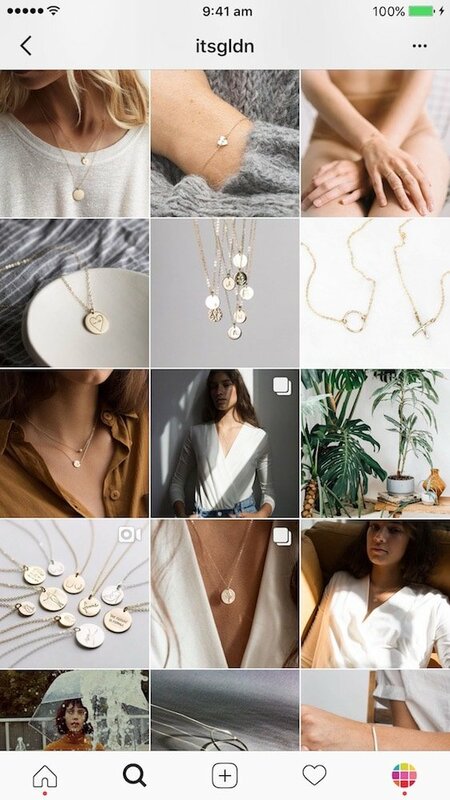 The whole feed for your shop can be flatlays only. Flatlays are a great way to show your product as the king of the photo. The other items can be styled around it. They can give context to your product. 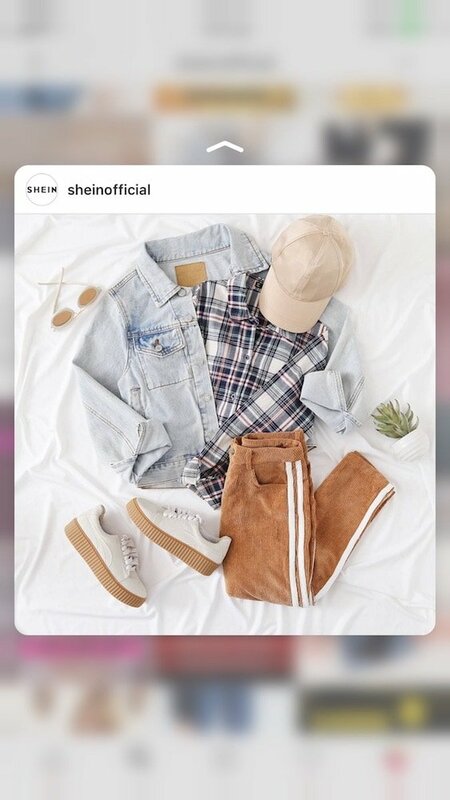 @sheinofficial: Shein’s page is a great example for fashion Instagram feeds. They don’t share flatlays all the time, but when they do flatlay photos get more likes than the other photos. 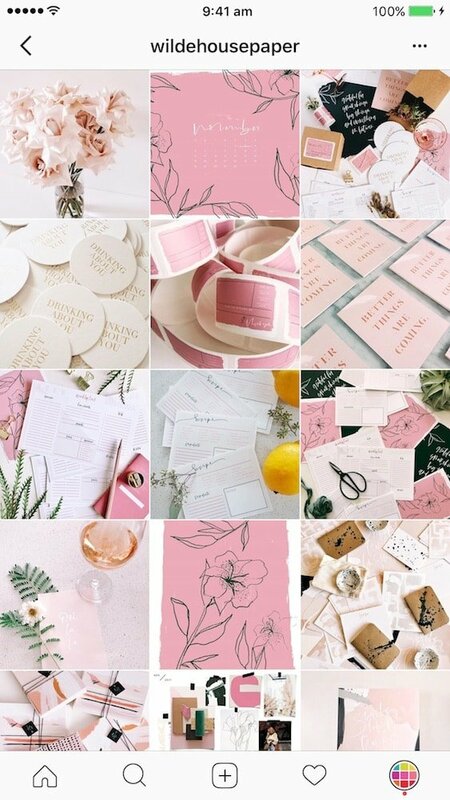 Quick note: Their flatlay photos are always on a white background. 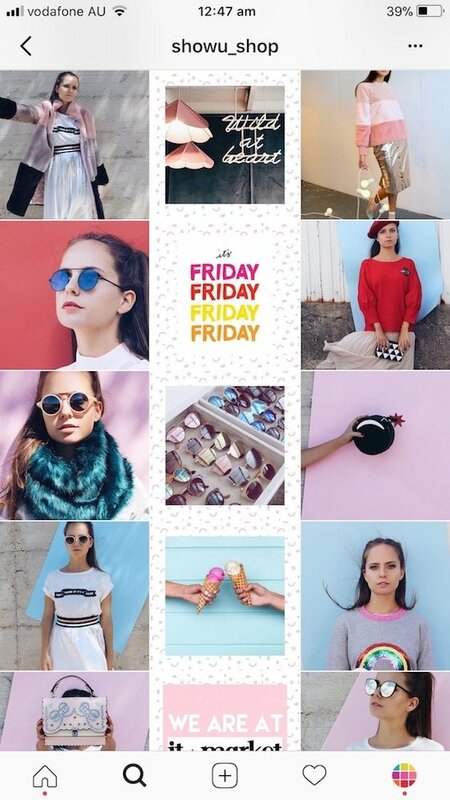 This is is another cool Instagram feed idea for your shop. 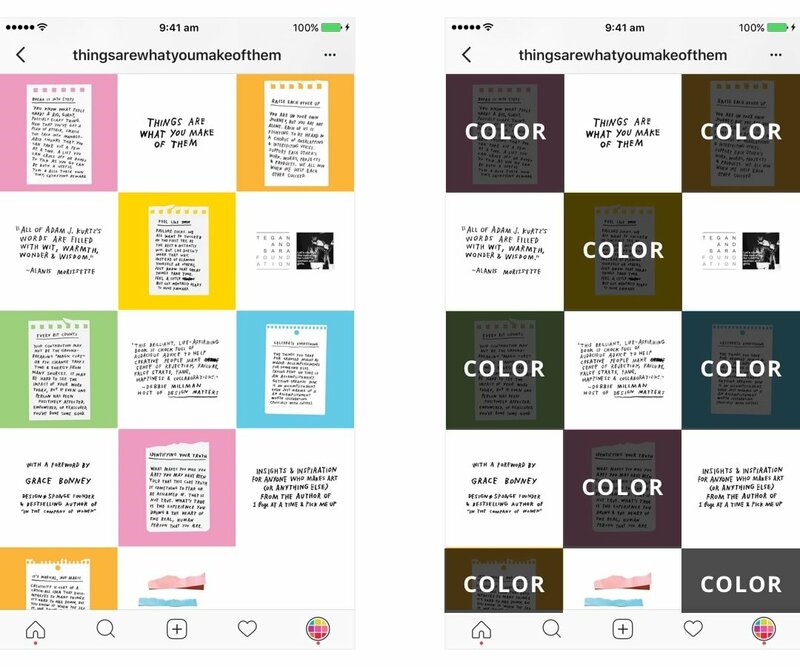 Design your feed like tiles. The trick is to alternate between a photo and a quote. 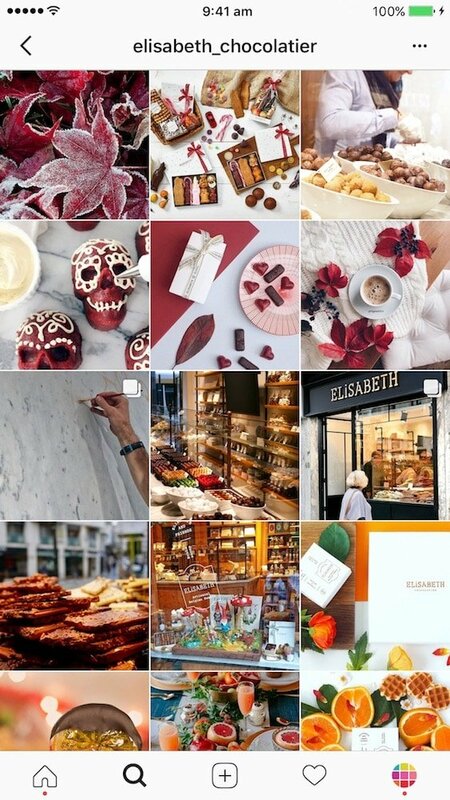 This is another unique Instagram feed idea for your shop! The line in the middle is awesome because it makes you want to scroll and scroll and scroll – which is great for you because it keeps your customers longer on your page. Usually, people share quotes on a white background in the middle. But you can be as creative as you want. Your line in the middle can be anything. This is a “next level” Instagram feed idea. It is harder to make and requires more planning. However if you can make it work, you’ll definitely stand out. You can search for apps on the App Stores that split photos into grids. 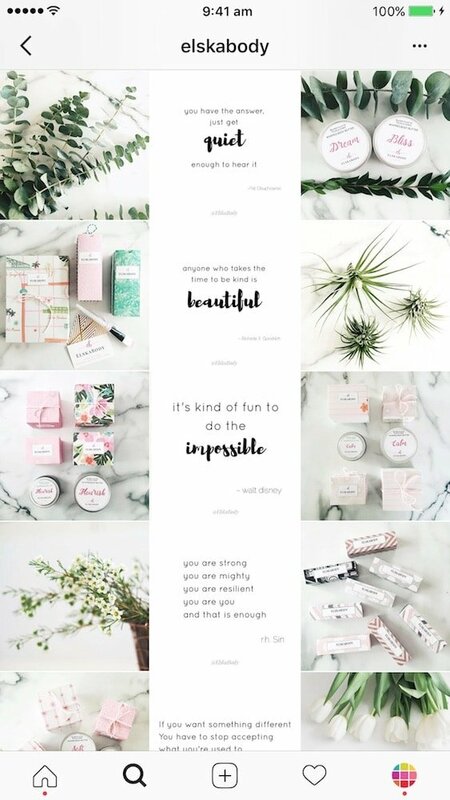 If you want to design a unique grid with text, drawings and photos you will need to use Photoshop to split your photos. Watch this tutorial: How to Split Photos to Make an Instagram Grid? 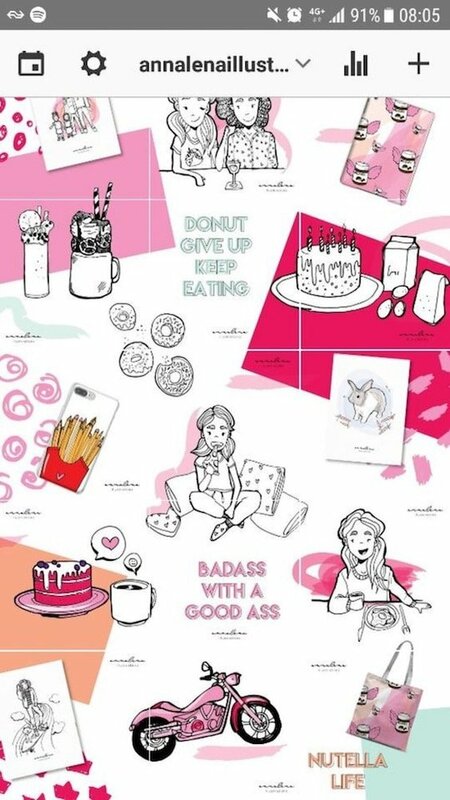 @annalenaillustrations is a wonderful example. White borders allow your feed to “breathe”. There is more space between the photos. 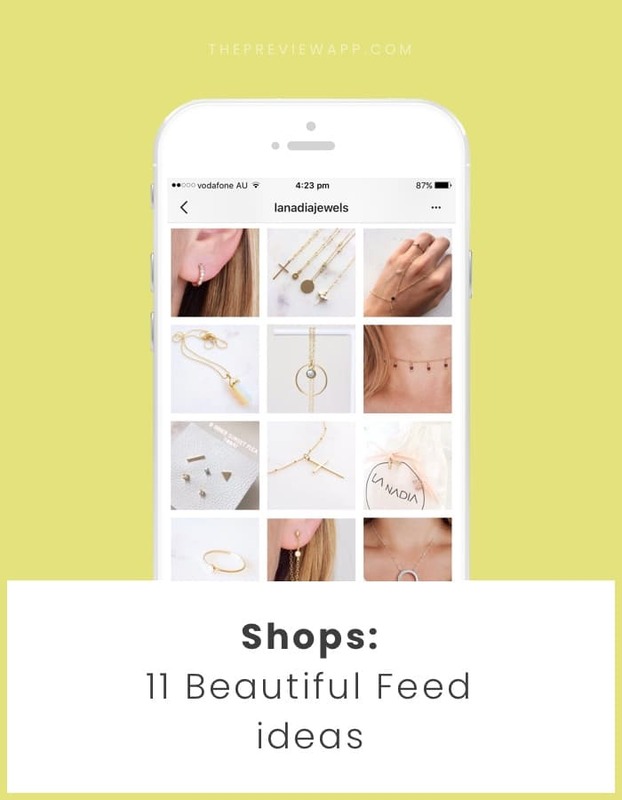 It means that it is easier for people to scroll through your feed and see your products. 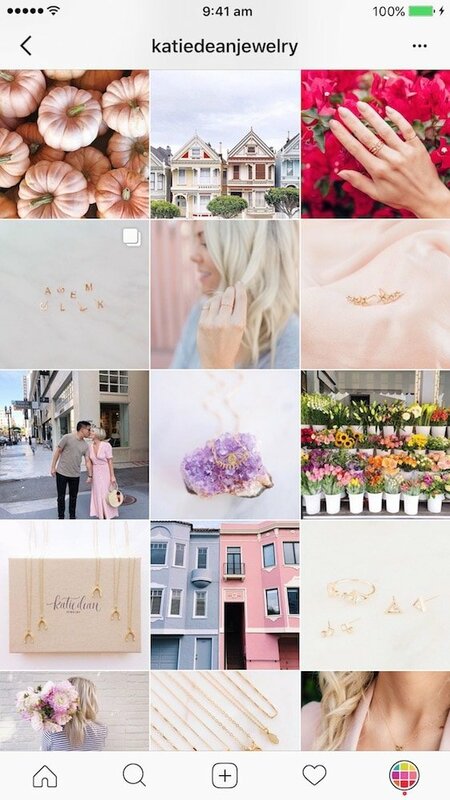 This feed idea is really good if you are reposting photos of your customers. Often times, when we repost photos they are all different colors, styles and with different filters. 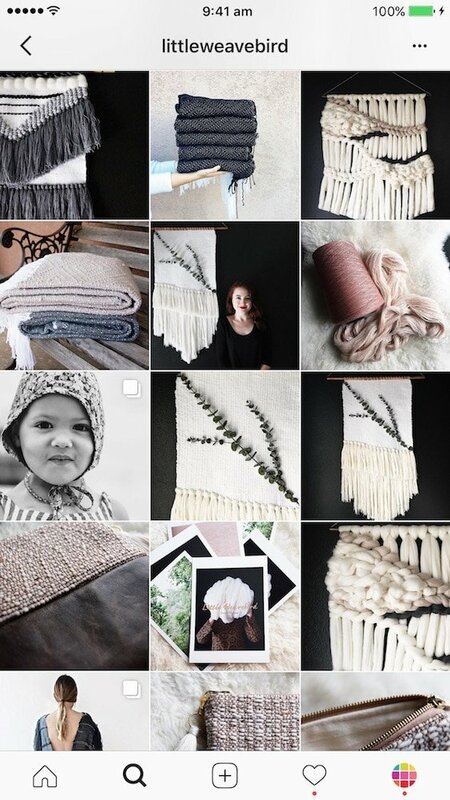 A white border is a good solution to keep your feed looking professional. Favorite white borders in Preview app: “Aura”, “Vela” and “Sole”. This is a very creative way to catch the attention of people when they are scrolling on Instagram. Think about it: everything is either a photo or a video on Instagram. You will definitely stop people in their track when they see a photo mixed with drawings. The image is unique and eye-catching. 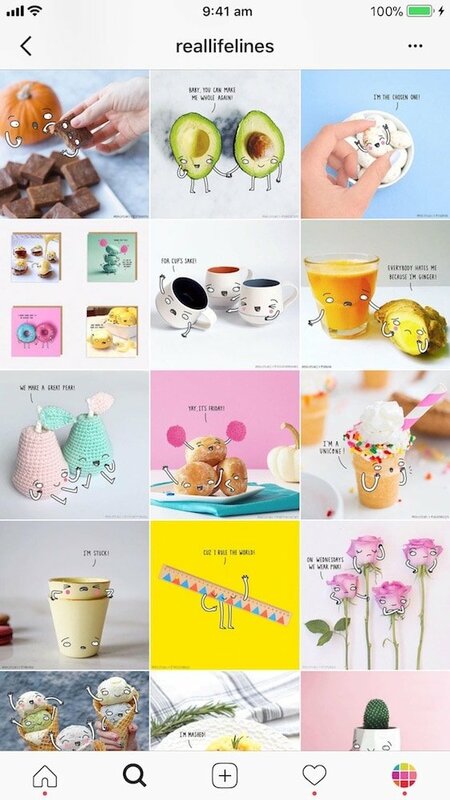 I haven’t found an Instagram shop that uses drawings all the time to promote their products. But I did find @by.minoue and @reallifelines. 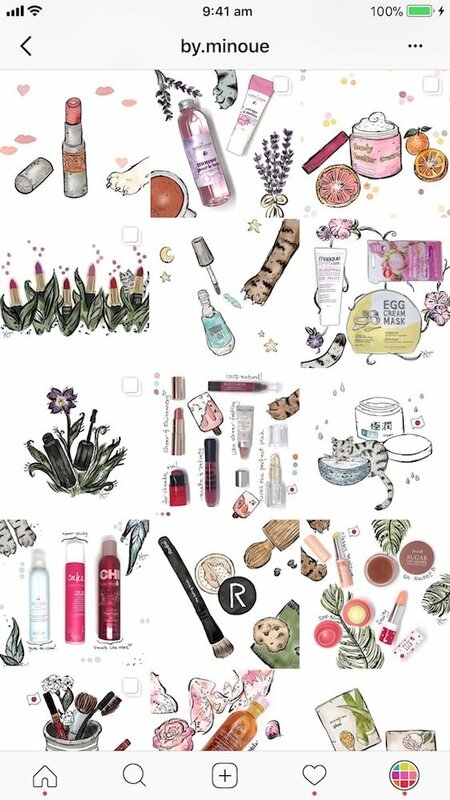 Look how fun they make products look! Don’t you just want to scroll more and discover more posts? 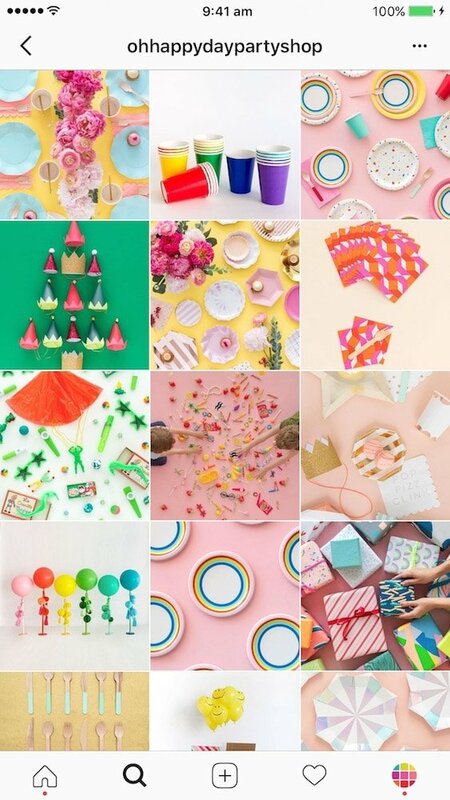 The last Instagram feed idea is to create a rainbow feed. 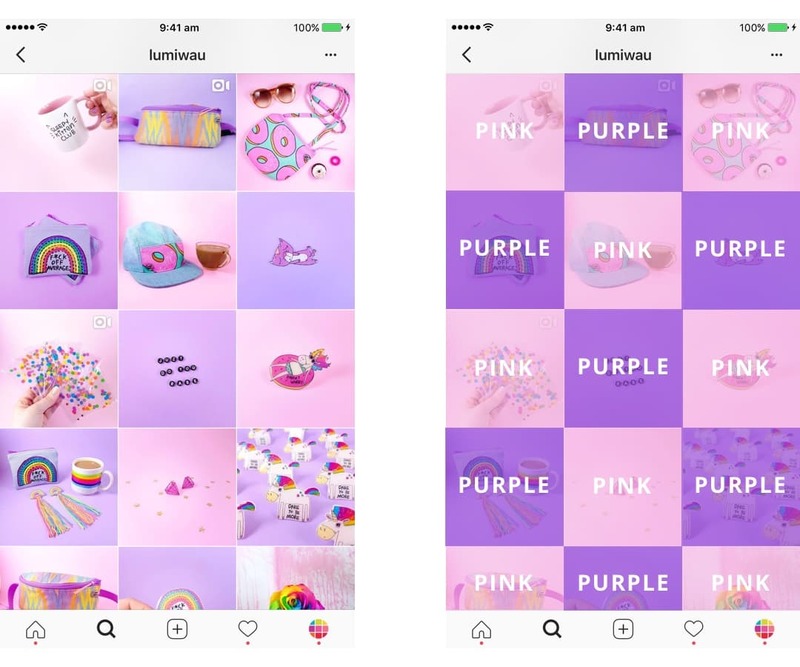 A rainbow feed is when the colors of your photos change when we scroll down. Like a rainbow. Think about it this way: in a physical shops, the shop manager sorts products (usually clothes, nail polish, stationaries) based on colors. You can do the same for your Instagram feed! 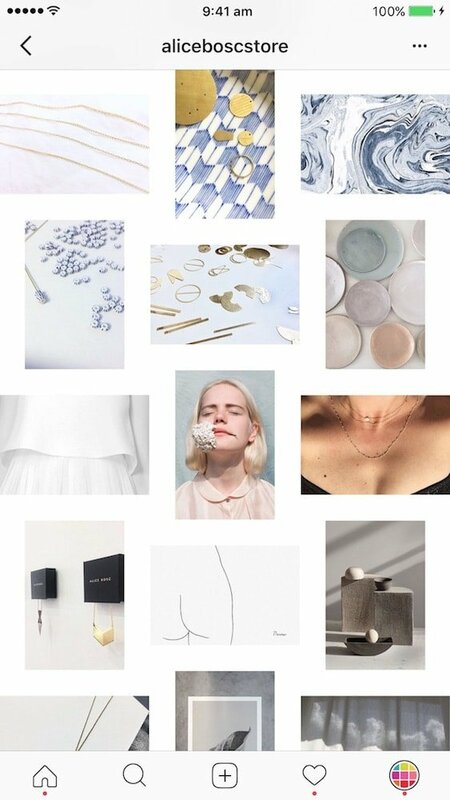 This type of Instagram feed requires more planning, but it is beautiful to scroll through it. You will definitely captivate the attention of people. I hope this blog post was useful and gave you lots of ideas. Let me know if you have any questions. Take your time to design your feed. And please… don’t forget to have fun! Until next time, see you all on Instagram for more Instagram tips and tricks!